Plymouth is a partner of Plymouth and Devon Racial Equality Council (PDREC), an independent and impartial registered charity working across Plymouth, Exeter and Devon, to promote equality of opportunity and eliminate racial discrimination. The Plymouth Fairness Commission recommended that the city engage in a consolidated effort to generate leadership on tackling discrimination in all its forms in the city and the University's work with PDREC is a response to that recommendation. PDREC work in partnership with statutory organisations including Plymouth Community Healthcare CIC, Devon and Cornwall Constabulary, Schools in Plymouth and Devon, Devon County Council, Plymouth City Council, Devon & Somerset Fire and Rescue, the University of Plymouth, Plymouth College of Art, City College Plymouth, the University of Exeter, Plymouth Marjon University and the Crown Prosecution Service as well as voluntary organisations and local community groups. Visit the PDREC website for further details. The benefits derived through working together for our students, staff and community include providing support for staff and students; assisting with providing links into hard to reach communities and access into schools through project work; supporting with community consultancy in the review of the equality scheme; and general race awareness training for harassment advisors to provide understanding of current local issues. The Respect Festival, organised by the PDREC, is the biggest celebration of diversity in the South West, attracting over 25,000 people each year. It enables people to come together in a safe space, free from oppression and fear, to celebrate the diverse cultural heritage of our city. The festival has been redressing the balance of negative and fearful perceptions about Plymouth's Black and Minority Ethnic (BME) communities since 1998, and growing in stature year-on-year. 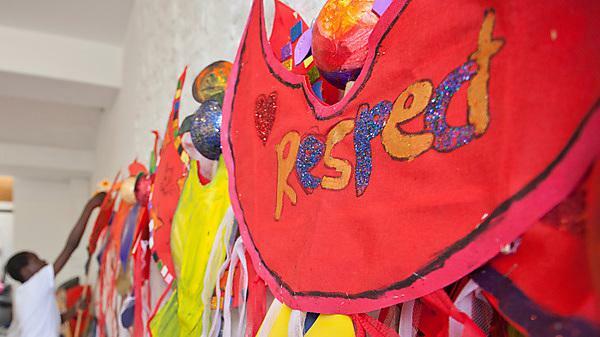 In 2014 and 2015 the University was privileged to host Respect Festival on campus.